William Bryan, MD, will take over the responsibility from his father Colin, who is stepping up to the role of Chief Executive. William will now assume the role of Managing Director and take over the day-to-day running of the attraction. 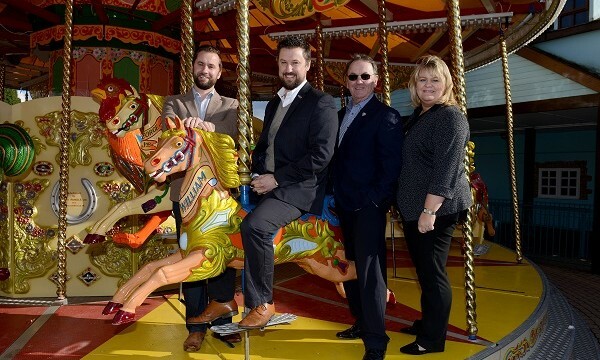 He has worked at Drayton Manor for the past 20 years, most recently acting as his father’s deputy after being identified as his successor two years ago. Colin’s niece Helen Pawley, formerly General Manager, Central Services, and his youngest son George, General Manager, Estates, will both assume the roles of Directors. Drayton Manor Theme Park has been family-run since its gates first opened on 1st April 1950, by Colin’s parents George Bryan OBE and his wife Vera. Helen and George have over 20 years’ experience within the park and bring a wealth of knowledge of Drayton Manor, the theme park industry, their family ethos and values to their roles. They will both support the board in setting strategy and identifying opportunities for further business growth. The park is now entering into its third generation of family management; only one in seven family businesses get to third generation. Colin Bryan began his career at the Park at the age of 17 as a chef and worked full-time at Drayton Manor for 48 years.